One of the unfortunate things about Hackaday’s globe-spanning empire is that you often don’t get to meet the people you work with in person. Since I was in China and it’s right next door, I really wanted to pop over to Vietnam and meet Sean Boyce, who has been writing for Hackaday for a couple of years, yet we’ve never met. I suggested we could make this happen if we put together a meetup or unconference. Sean was immediately confident that the Ho Chi Minh City hardware hackers would turn out in force and boy was he right! On Sunday night we had a full house for the first ever Hackaday Vietnam Meetup. The now-humble PCB was revolutionary when it came along, and the whole ecosystem that evolved around it has been a game changer in electronic design. But the PCB is just so… flat. Planar. Two-dimensional. As useful as it is, it gets a little dull sometimes. Here’s your chance to break out of Flatland and explore the third dimension of circuit design with our brand new Flexible PCB Contest. We’ve teamed up with Digi-Key for this contest. Digi-Key’s generous sponsorship means 60 contest winners will receive free fabrication of three copies of their flexible PCB design, manufactured through the expertise of OSH Park. So now you can get your flex on with wearables, sensors, or whatever else you can think of that needs a flexible PCB. There’s no single formula for success, but if we’ve learned anything over the years of covering cons, contests, and hackathons, it’s that, just like in geology, pressure can create diamonds. Give yourself an impossible deadline with high stakes, and chances are good that something interesting will result. That’s what Estefannie from the YouTube channel “Estefannie Explains It All” did when Bay Area Maker Faire was rolling around last year, and she stopped by the 2018 Hackaday Superconference to talk about the interactive Daft Punk helmet that came out of it. It’s a rapid-fire tour of Estefannie’s remarkably polished replica of the helmet worn by Guy-Manuel de Homem-Christo, one half of the French electronic music duo Daft Punk. Her quick talk, video of which is below, gives an overview of its features, but we miss the interesting backstory. For that, the second video serves as a kickoff to a whirlwind month of hacking that literally started from nothing. Before deciding to make the helmet, Estefannie had zero experience in the usual tools of the trade. With only 28 days to complete everything, she had to: convert her living room into a workshop; learn how to 3D print; print 58 separate helmet parts, including a mold for thermoforming the visor; teach herself how to thermoform after building the tools to do so; assemble and finish all the parts; and finally, install the electronics that are the hallmark of Daft Punk’s headgear. The three videos in her series are worth watching to see what she put herself through. Estefannie’s learning curve was considerable, and there were times when nothing seemed to work. The thermoforming was particularly troublesome — first too much heat, then not enough, then not enough vacuum (pretty common hurdles from other thermoforming projects we’ve seen). But the finished visor was nearly perfect, even if it took two attempts to tint. We have to say that at first, some of her wounds seemed self-inflicted, especially seeing the amount of work she put into the helmet’s finish. But she wanted it to be perfect, and the extra care in filling, sanding, priming, and painting the printed parts really paid off in the end. It was down to the wire when BAMF rolled around, with last minute assembly left to the morning of the Faire in the hotel room, but that always seems to be the way with these kinds of projects. In the end, the helmet came out great, and we’re glad the run-up to the Superconference wasn’t nearly as stressful for Estefannie — or so we assume. And now that she has all these great new skills and tools, we’re looking forward to her next build. If there is a field which has promise verging on a true breakout, it is that of wearable electronics. We regularly see 3D printing, retrocomputing, robotics, lasers, and electric vehicle projects whose advances are immediately obvious. These are all exciting fields in which the Hackaday community continually push the boundaries, and from which come the astounding pieces of work you read on these pages daily. Of course the projects that merge textiles and electronics are pushing boundaries in the same way, except for that it’s often not obvious at first glance. Why is that? Wearables are a field in which hard work and ingenuity abound, but pulling off the projects that stand out and go beyond mere ordinary garments adorned with a few twinkly LEDs or EL wire is hard. Wearables have a sense of either still seeking its killer application or its technological enabler, and it was this topic that physicist, textilist, and artist Kitty Yeung touched upon in her talk at the recent Hackaday Superconference. When it comes to wearables, there are a few places you can mount rechargeable batteries and largish circuit boards. Certainly, badges hanging from a lanyard are a favorite here on Hackaday. A belt is another option. [deshipu] has come up with a good location on your head, provided you have long hair that is. That’s the hair clasp or barrette. It can support a hefty mass, be relatively large, and doesn’t touch your skin. His plan gets even better, namely to use it as a hub for other electronics on your head, giving as examples: mechatronic ears and LEDs on eyelashes, earrings, and neck collars. We’d include some sort of heads-up display on glasses too or perhaps some playful glasses windshield wipers. Being able to solder the clasp to the circuit board was his first success and he’s since made a test barrette with pulsing LEDs which he’s distributed to others for evaluation. We really like his electronic hub idea and look forward to seeing where he takes it. For now, he’s done enough to have become a finalist in the Hackaday Human Computer Interface Challenge. The keynote speaker at the Hackaday Belgrade conference was Rachel “Konichiwakitty” Wong presenting Jack of All Trades, Master of One. Her story is one that will be very familiar to anyone in the Hackaday community. A high achiever in her field of study, Rachel has learned the joy of limiting how much energy she allows herself to expend on work, rounding out her life with recreation in other fascinating areas. There are two things Rachel is really passionate about in life. In her professional life she is working on her PhD as a stem cell researcher studying blindness and trying to understand the causes of genetic blindness. In her personal life she is exploring wearable technology in a way that makes sense to her and breaks out of what is often seen in practice these days. 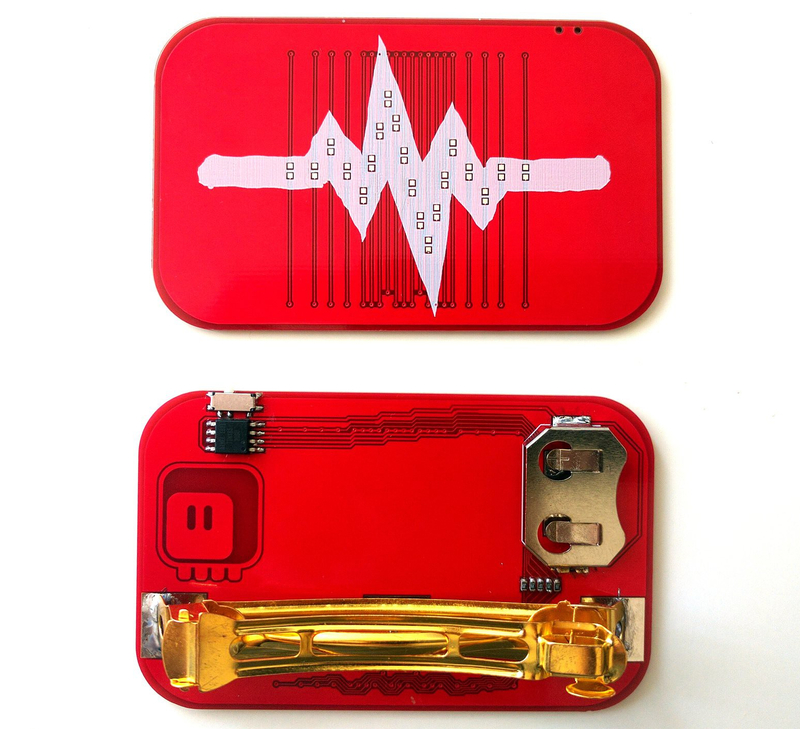 Ask Hackaday: What Is The Future Of Implanted Electronics? Biohacking is the new frontier. In just a few years, millions of people will have implanted RFID chips under the skin between their thumb and index finger. Already, thousands of people in Sweden have chipped themselves to make their daily lives easier. With a tiny electronic implant, Swedish rail passengers can pay their train ticket, and it goes without saying how convenient opening an RFID lock is without having to pull out your wallet. That said, embedding RFID chips under the skin has been around for decades; my thirteen-year-old cat has had a chip since he was a kitten. Despite being around for a very, very long time, modern-day cyborgs are rare. The fact that only thousands of people are using chips on a train is a newsworthy event. There simply aren’t many people who would find the convenience of opening locks with a wave of a hand worth the effort of getting chipped. Why hasn’t the most popular example of biohacking caught on? Why aren’t more people getting chipped? Is it because no one wants to be branded with the Mark of the Beast? Are the reasons for a dearth of biohacking more subtle? That’s what we’re here to find out, so we’re asking you: what is the future of implanted electronics? bthsdollz liked 3D printed prosthesis with CV, BCI and EMG.